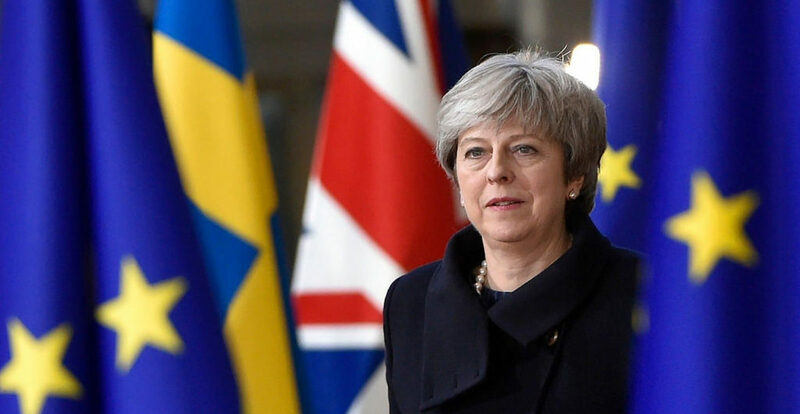 This week Theresa May was under orders from the House of Commons to come up with a Plan B to replace her Plan A, the deal she agreed with the European Union to allow Britain to exit the European Union on March 29. That deal, despite fulfilling many of the populist aims of the 2016 Brexit referendum, suffered a crushing defeat of 432 votes to 202, the heaviest since 1924. Plan B, delivered after days of cross-party talks supposedly aimed at political consensus, turned out to be what Australians call a “Claytons” or a non-alcoholic drink. The prime minister re-invited MPs to come up with changes to the agreement they had rejected and vote on these next week, to prepare the way for her to fly to Brussels in a bid to persuade reluctant EU negotiators to accept the change. 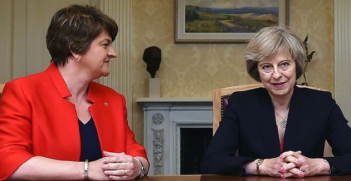 This was May at her most outrageous, stubbornly refusing even to consider or discuss a menu of options put to her over recent days by MPs of all parties. The proposed changes include a parliamentary vote on whether to call a second referendum and acceptance of Britain remaining a member of the European Customs Union. May refused to rule out a “no-deal” Brexit, which would leave Britain stranded outside the EU from March 29, able to trade only under World Trade Organisation rules. 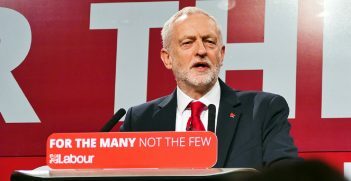 It was May’s implacable refusal that led Opposition leader Jeremy Corbyn to turn down repeated entreaties to meet with May to discuss a compromise. However, many front-bench Labour MPs did so, later complaining that though the Prime Minister had given them a hearing, she did not listen. The impasse in Parliament remains. May is adamant that the result of the 2016 referendum must be respected, along with the legislation that followed. It means that Britain will automatically leave the Union and all its institutions and laws at the end of March unless there is an agreement with Brussels. The only deal on offer is the one MPs rejected. There are proposals for amending the clauses relating to the “Irish backstop”, a form of insurance designed to ensure no hard customs border will exist between the Republic of Ireland and Northern Ireland if Britain fails to come to a trade agreement with the 27 remaining EU countries. May’s vocal squad of “ultra-Europhobes” believe the backstop could trap the UK in the EU indefinitely, but the Dublin government and EU negotiator Michel Barnier insist the backstop remains. Cross-party groups of MPs are now seeking to give the House of Commons, rather than the May government, control of procedures in the remaining weeks. Some of them insist that May seeks an extension of Article 50, the legal undertaking given by Britain of of its intent to leave the EU. Despite the support of some present and former ministers, May says such a delay in the Brexit process would be a “betrayal” of the British people. 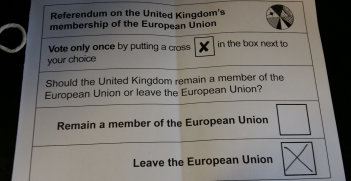 More substantive is the European Union (Withdrawal) (No. 3) Bill, sponsored by former Conservative Cabinet minister Vicky Morgan, Labour front-bencher Yvette Cooper, and Liberal-Democrat Norman Lamb. If passed, and if no agreement is reached by the March 29 deadline, the government would be required by law to seek an extension of the Article 50 process. The EU has said it would agree to an extension of Article 50 to enable a second referendum to be held. However, an analysis of polls indicates the pro-Brexit vote would be reversed if a second referendum were held, albeit by a modest margin. This outcome would leave the Tory party deeply divided, and those areas of the country that strongly supported “leave” would be very angry with Westminster. May’s assertion that the British people would feel “betrayed and will not forgive us” is an exaggeration, even far-fetched, like much of the rhetoric that has passed for debate. It is perhaps less well known outside Britain that 75 percent of 18 to 24 year olds voted for Britain to remain in the EU. Moreover, there is plausible evidence that this balance would swell in a second referendum when those who were too young to vote in 2016 will now have the vote. Another recent factor has been the “outing” of a number of ultra-Brexiteer claims in the 2016 campaign. One was that a “remain” vote would lead to 80 million Turks moving to Britain when Turkey joins the European Union. Boris Johnson, leader of the campaign, has denied making such a claim, repeating his denial in a speech in Stoke-on-Trent, a “leave” stronghold. The former foreign secretary told a meeting: “Since I did not make those remarks I cannot disown them”. However, the BBC fact-checking unit reviewed the archive, confirming not only that he made the claim but that he had also been a co-signatory of a letter to the prime minister which spoke of the “rapidly accelerating pace” of Turkey’s EU accession negotiations. Outlook subscribers can read the full BBC report here. As I write, Amber Rudd, a minister in May’s cabinet has demanded a free vote for all MPs on an extension to Article 50. Denied this, she and other ministers will resign. One of those is likely to be pivotal to the government, the chancellor of the exchequer Philip Hammond who this week told business leaders a “no deal” Brexit should be taken off the table and favours seeking an extension to Article 50. Hammond of course is concerned about money leaving London in droves. In recent days an icon of British industry has announced it is shifting its head office to Singapore while five of the largest international banks with European headquarters in London are planning to decamp to Frankfurt. Colin Chapman FAIIA is a London-based writer, broadcaster and public speaker specialising in geopolitics, international economics and global media issues. He is a former president of AIIA NSW and was appointed a fellow of the AIIA in 2017. This article is published under a Creative Commons Licence and may republished with attribution.